Scott Youngblood finally makes his dream game. Back in the last millennium (1998), Scott Youngblood made one of the first shooters that elevated the player into the third dimension. Starsiege: Tribes was revolutionary for its time, but Youngblood had even more in mind than just jetpacking around messing up your buddy's day with a shot to dome. His vision for Tribes included a meta-game of resource gathering and territory grabbing, but most of those features were cut to get the game shipped. Tribes 2 had prototype systems in place, but they too were scrapped. 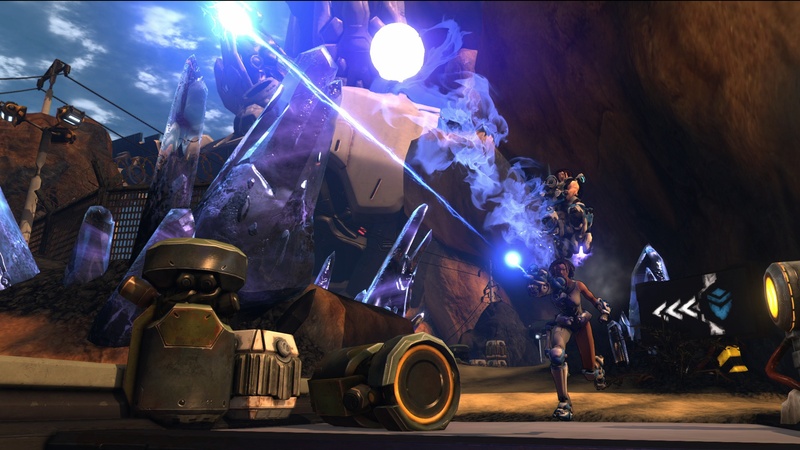 Now, nearly 15 years later, Youngblood brings all he wanted to bring to Tribes to the MMO Firefall from Red 5 Studios. "Those early RTSs made a huge impression on me," Youngblood said, referring to games like WarCraft and Command & Conquer and how collecting resources from the game world can empower players and encourage immersion. Perhaps he sacrificed that feature to make sure the jetpacking worked, but Youngblood has changed all that with his latest game. 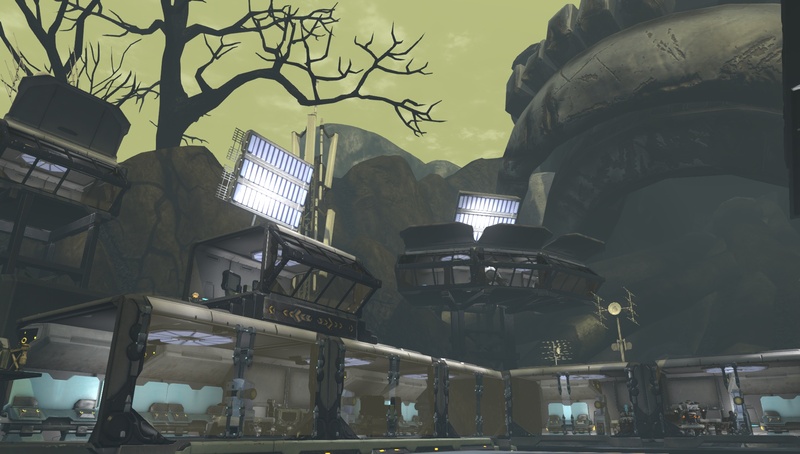 Very early on in Firefall - incidentally also a sci-fi shooter spiced liberally with jetpacks - you're introduced to the resource management system. The second quest I went on in my time with the beta at PAX East 2012 introduced me to collecting shiny rocks called coralite and crystite by blowing up rocks. Later, you'll be able to refine and finally craft weapons and armor from all that stuff at special crafting stations. That's also how Red 5 plans to monetize its free to play MMO shooter. Right now - the game is still in closed beta so this will likely change - the currency players can purchase is called Red Beans. Youngblood promised that spending red beans will never make you more powerful, but will feed into the crafting system by allowing you to speed up some processes. Refining crystite may take an hour in real time, but if you spend red beans, that might be shortened to a minute. All the equipment will come in handy because each player will likely need a lot of equipment. You see, each character can play one of 5 classes - denoted by different battleframes - at any time and you'll want different gear for each one. "I anticipate the experienced players will have a set of gear for each battleframe, as well as several loadouts for each one too," Youngblood said. As part of demoing Firefall again, I got myself signed up for the beta. I enjoy sci-fi shooters more than military-focused ones, but I never would consider myself a fan. 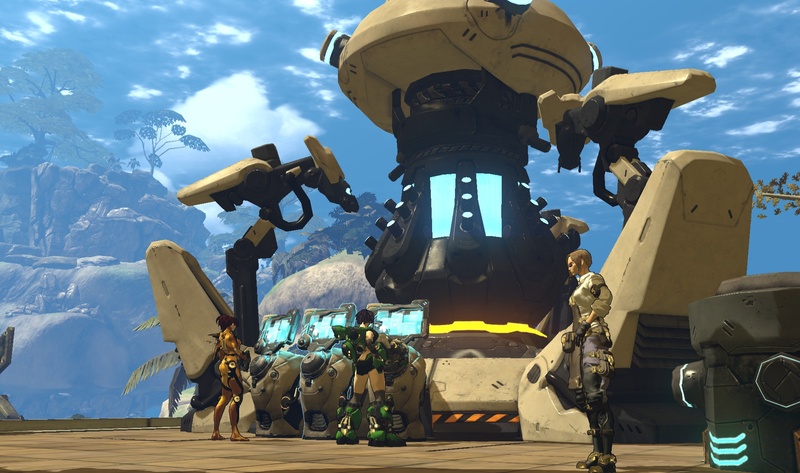 But given the awesome meta aspect of resource-gathering, the amazingly well-crafted aesthetic, and the fact that I'm not too terrible at it, I am looking forward to giving Firefall a whirl.